Jellystone Park™ is one of the cleanest and best maintained campgrounds in Ontario, with many amenities to make your family’s stay enjoyable and memorable. Our comfort stations, heated in-ground swimming pool, and spacious campsites are cleaned and maintained to the highest standards. 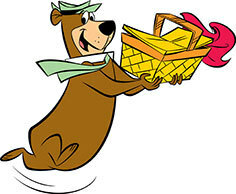 Your health and safety while visiting our campground is always our primary concern. All of our water is supplied, treated and monitored by our local municipal government, under the authority and approval of the Province of Ontario. Our heated in-ground swimming pool is monitored, inspected and approved by the Simcoe County Health Unit. Save time and money by enjoying our convenient location just north of Toronto. 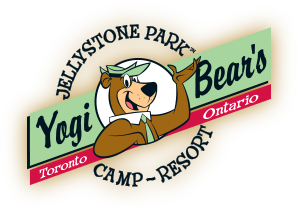 Yogi Bear's Jellystone Park™ & Camp-Resort is the closest campground to Canada’s Wonderland in terms of distance and time. You are close enough to return to Jellystone Park™ for a rest any time of the day, and go back to Wonderland refreshed for more fun and entertainment. Learn more about the many Toronto attractions you can visit easily from here. Jellystone Park™ overlooks the rolling hills of Bradford West Gwillimbury. There is a slight prevailing northwest breeze at most times, which is Mother Nature's way of keeping the park fresh and airy. The park and adjoining sites have their share of mature trees, but the space remains open, with plenty of room to run, ride bikes, and more. 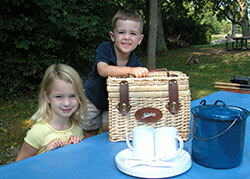 Our lawns and gardens are professionally maintained to ensure your enjoyment of our campground. 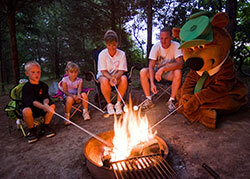 All of our campsites are dedicated to family camping. Our daily activities and recreation facilities are ideal for parents and grandparents with children. We do not have any seasonal or year round sites. 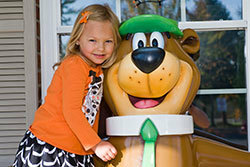 Whether you choose to visit and enjoy Yogi Bear’s Jellystone Park™ Toronto many times with your family, or you like to visit other locations in Canada and the U.S., earning Club Yogi Rewards points will help make your holidays even more affordable. Learn more about the perks of joining Club Yogi™ and sign up today! Can you follow the leader? Do you know when to stop and do your own thing? Find out with a good old fashioned game of Simon Says!